Cosmetic surgery has been showing a steady increase in popularity over the years all over the world, especially in the UK and US as per the statistics reports. There were many factors contributing to the increase in the interest for the procedures. Celebrity endorsements for plastic surgery and people wishing to look their best on social media platforms are among the major factors. 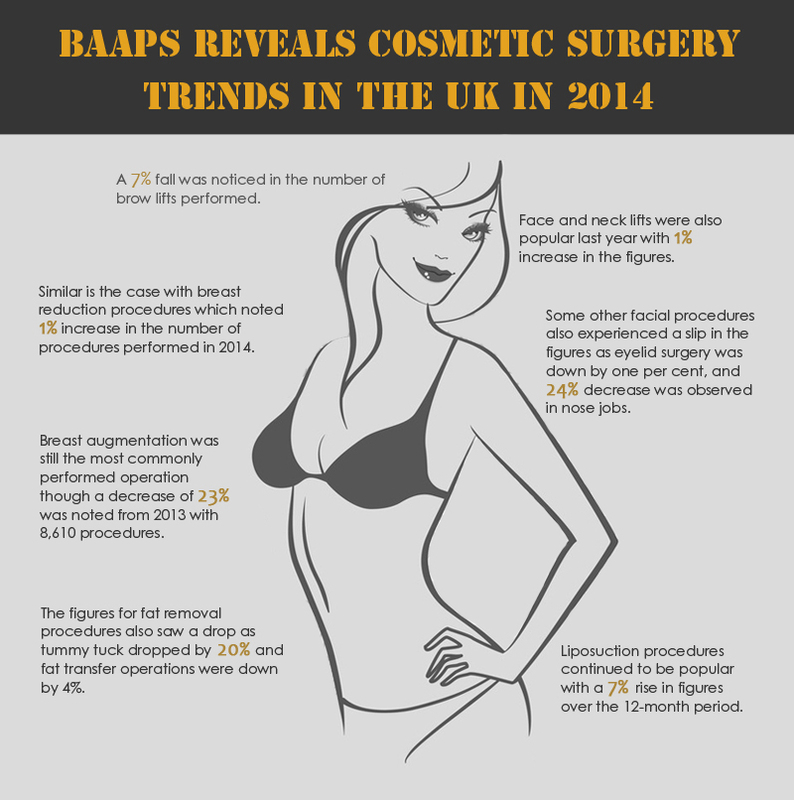 The British Association of Aesthetic Plastic Surgeons (BAAPS) has published the statistics report for cosmetic procedures last year. It shows that a few procedures came down in popularity while other procedures continued to hold steady. It seems that people preferred finer changes to their appearance. The report hints that many people preferred to follow a healthy diet and regular exercise plan before rushing into surgery to meet their aesthetic goals. This is what is actually proposed by many leading plastic surgeons and researchers in the field. Plastic surgery is advised when available natural options prove futile. Here are some highlights of the study.